Time Off Cloud is the PTO solution your employees expect. The expectations of today’s workforce are evolving. Today’s employees use powerful technology in their day-to-day lives. Social media applications, online shopping, and on-demand services are the norm. Employees expect self-service tools and quick responses to their individual needs. Employee satisfaction, motivation, and tenure with a company are influenced by the company’s ability to meet employee expectations. 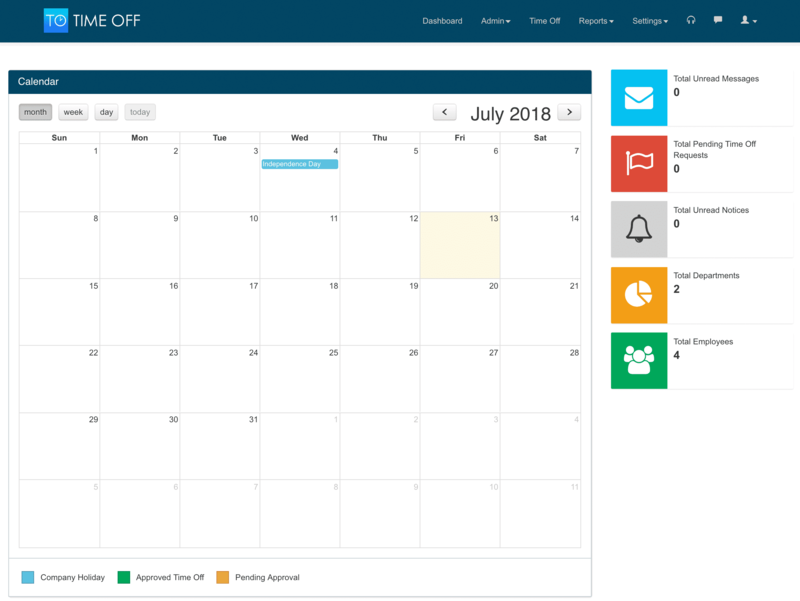 Time Off Cloud streamlines the Time Off Request and Management workflow for employees and managers alike. Our guiding principal is to Increase Employee Satisfaction and Reduce Manager Headaches. Managers and Administrators will appreciate the centralized management of leave programs, automatic accrual calculations, mobile and web time off request workflows, and the clear and simple reporting. All of this power enables the manager to respond faster with significantly less effort. Manage and access departments, roles, and employees from one easy to use screen. Easily access your teams Time Off requests. Create employee leave programs which include leave policies and assign to positions throughout the organization. Leverage the power of the leave calculations engine to handle fiscal years, benefit start dates, leave categories, accrual methods, rollovers, and more. The most important part of the Time Off system. Employees can easily request Time Off via the mobile apps or websites. Managers have all of the information necessary to approve/decline the requests. Easy, fast, and accurate. Time Off is available to all employees via Mobile and Web. Employees can use the awesome mobile experience on iOS or Android mobile apps. In addition, employees can sign in via the web. Company-wide and Employee-specific reports give you a clear picture of your Time Off programs. Year-end close processing with automated rollover functionality. In system messaging for sending out notifications. Single pane-of-glass showing the entire organization including Departments, Positions, and all available management functions. Time Off is flexible. Need to make a manual adjustment based on some unique situation? No problem. Data is synced to the mobile apps for viewing offline. An elegant, well crafted solution that your users will love.